The NEC PC-9821 computers output a very unusual resolution that most western monitors struggle with: 640 x 400 @ 24 kHz. I tried at least half a dozen monitors of all types and ages and none of them was able to display a picture at all (except an “out of range” message). Video scalers like the DVDO iScan VP50 Pro don’t recognize the signal either. Some sources claim that the cheap GBS-8220 converter is able to convert the signal – that is only partially true. You can see a stuttering picture that eventually becomes clear when you start the Windows 98 Desktop, but that doesn’t work in DOS. 1. If you already have a Framemeister (another 300-400€ converter by Micomsoft) then it is fairly easy. 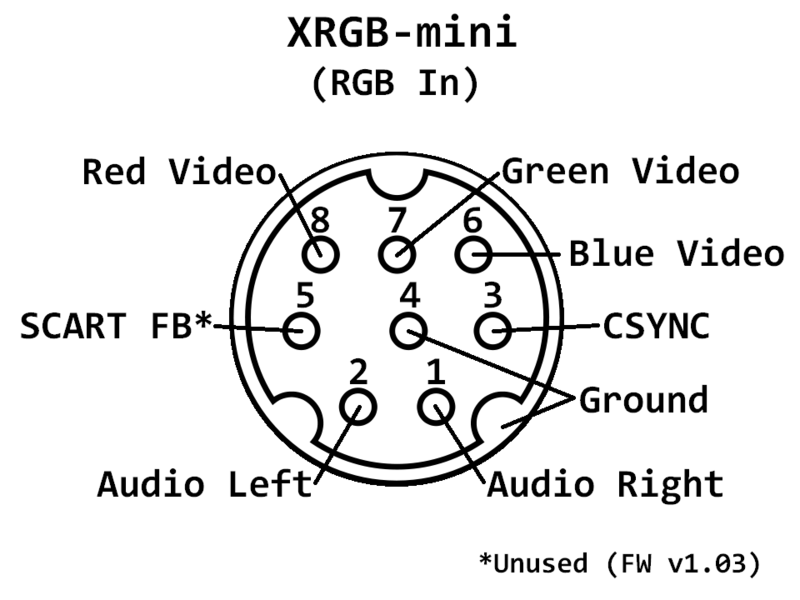 The RGB-in port accepts 24 kHz too, all you need is a sync combiner. I modified this sync combiner that I had built for my Atari Lynx and Sega Dreamcast. The sync combiner needs 5V to work and usually draws it from VGA pin #9. The RGB Output of the PC-9821 doesn’t carry this voltage, so I added an external 5V power connector and a switch. 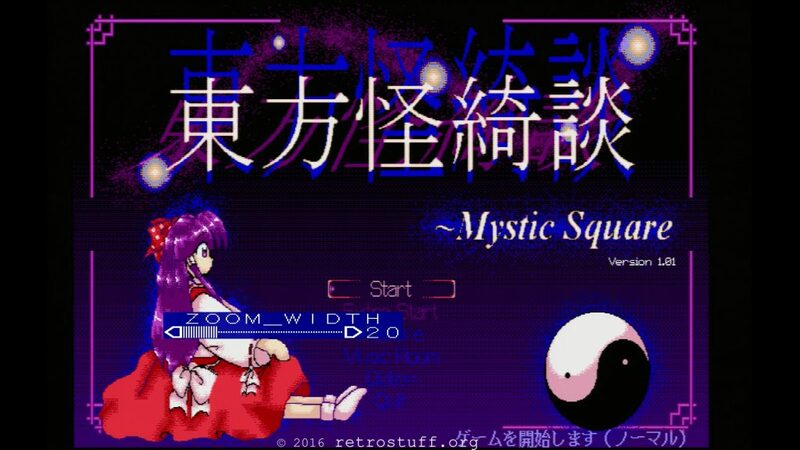 This is the title screen of the 5th Touhou game, Touhou Kaikidan ~ Mystic Square, taken with a 1080p video grabber. 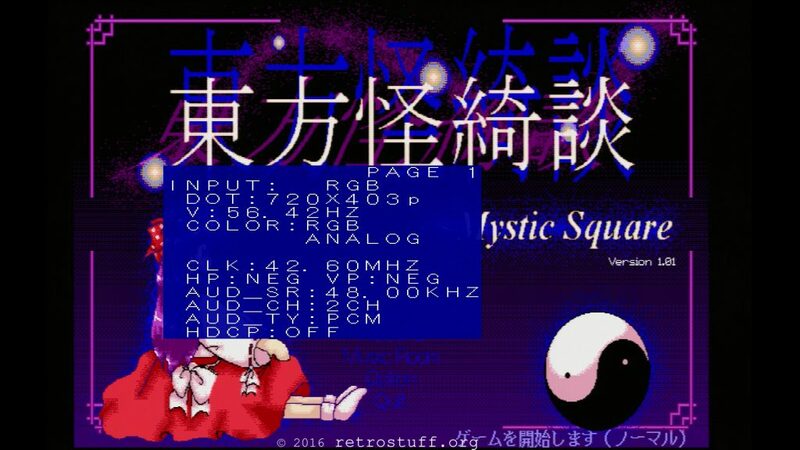 With the standard settings the aspect ratio is incorrect. Press [GRPH] +  when powering up the machine and it will output 31 kHz. 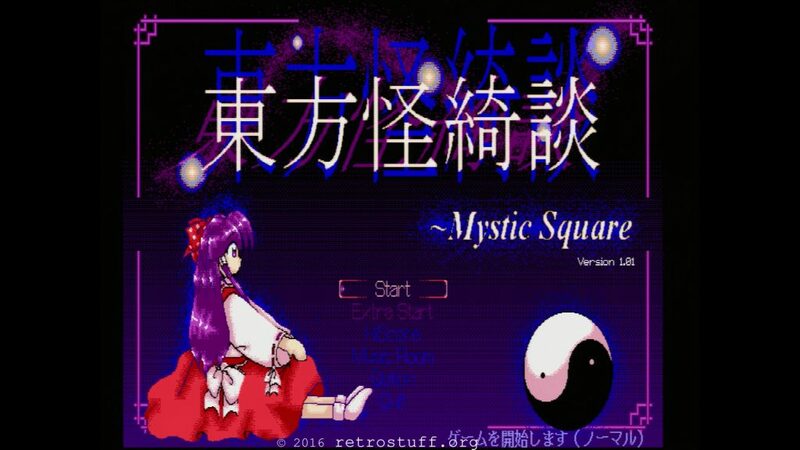 Could you sell me such an adapter from pc9821na12 to Framemeister? I Need it! Sorry, this is a prototype and not for sale. There are some commercial solutions though. E.g. the Beharbros. Kenzei works very well in that Setup. 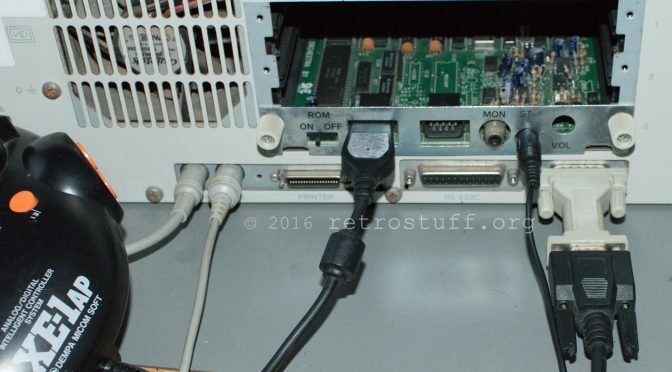 Could you pls help to share the pin definition on the framemeister RGB in min-din input connector?